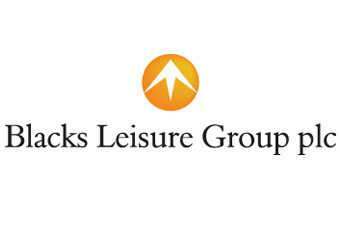 Today's news that Blacks Leisure Group has sealed approval from landlords for compromised rental terms is a relief for the UK high street. But the approval granted to Blacks, and JJB Sports earlier in the year, is also a case of creditors maximising their returns. After all, they are not in the business of handing out charity. The vote settles landlord claims on 101 of the outdoor apparel group's stores which are closed or in the process of closing, and salvages terms on a further 291 retail leases, albeit "charitable" ones. Blacks will be allowed to pay monthly rather than quarterly rent payments on these stores for the next 18 months. Struggling UK sportswear chain JJB agreed similar terms in April, and agreed to pay landlords of closed stores with one-off payments instead of ongoing rent. In both cases the votes were essential to the restructuring and survival of the retailers, and preserve thousands of jobs. While the new rental terms might be a bitter pill to swallow for some landlords, they also know it is less than a year since the UK high street was rocked by the closure of 807 Woolworths stores. This dealt a somber Christmas to 27,000 workers, but also left a large number of store vacancies. So, while JJB and Blacks' Company Voluntary Arrangements (CVAs) during 2009 are instrumental in avoiding another Woolworths, they have also rescued much-needed business for landlords. Only with such compromise up and down the supply chain can struggling UK businesses ride out the recession. Indeed, Blacks' chief executive Neil Gillis stated today "that the CVA is in the best interests of all concerned", while the proposals themselves were eventually approved by 97% of creditors.